New project completed and delivered! Positive comments flowed from some of the exhibition committee members packing up the plankton show. No completed photos yet. I’ll take some once the show opens. A little time away from the piece might make me like it a bit better. 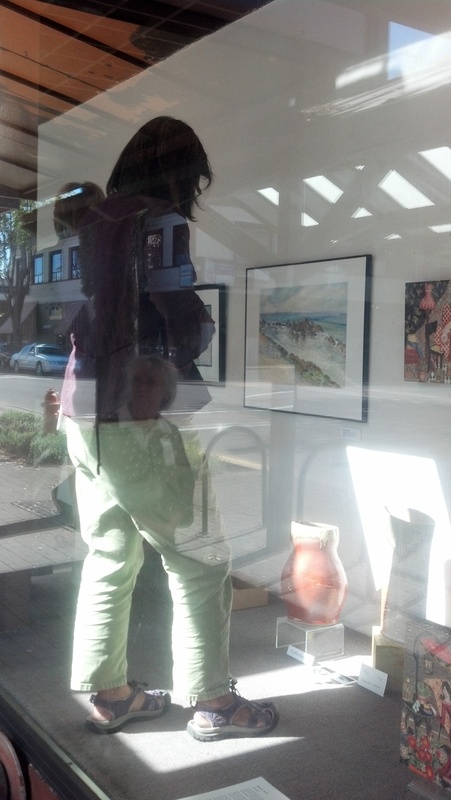 Delivered another piece now on display in the Birkenstock window, downtown Corvallis, with the amazing Corvallis Critique group. The group has been going for over 20 years. It was just a year ago that I was asked to become a part of it. What an honor! 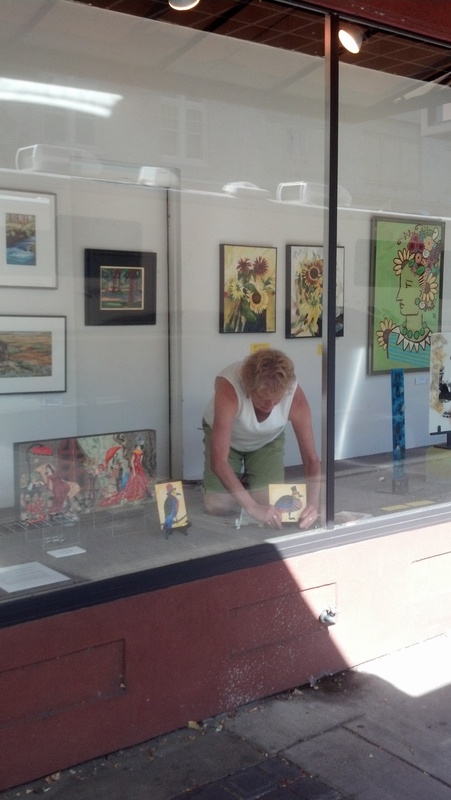 Philomath artist Judith Sander setting up some of her works. 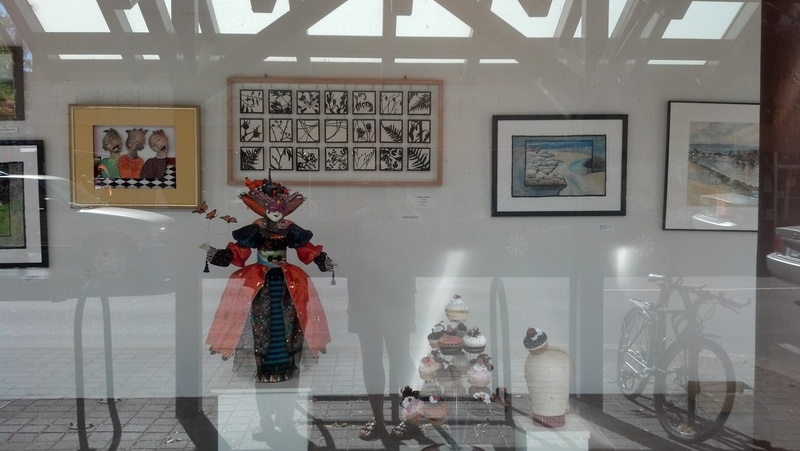 part of the window that has my piece on the back wall. The third big thing was finding out that my proposal for an installation piece was accepted for the Rural Storefront Art project. The city that accepted was Sweethome, only 31 miles from home (50 minute drive). I’m looking forward to seeing the site. 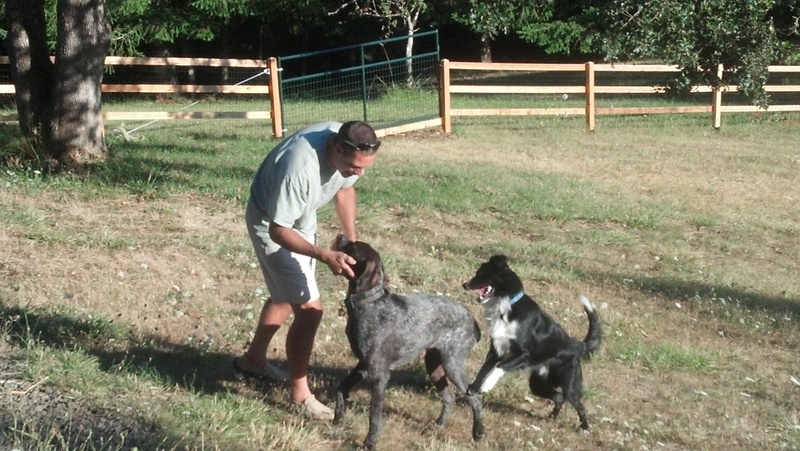 Moby had a good outing at Jim & Kate’s house this afternoon. 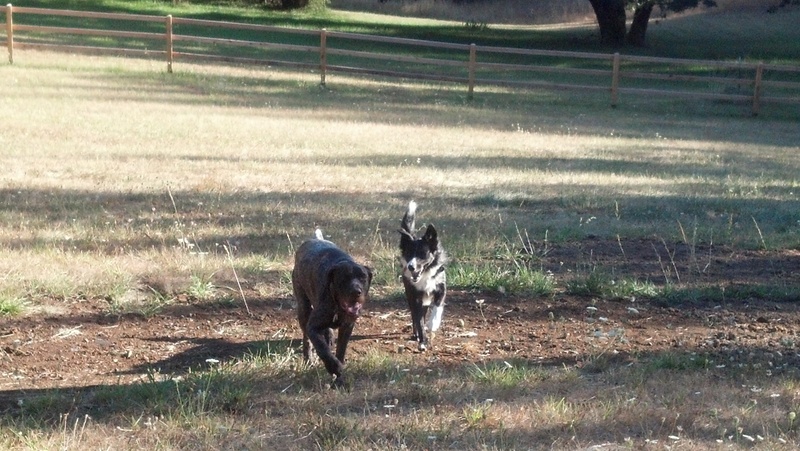 Hobie was raring to play but Mobs thought it was too hot or he was overly hungry. It’s nice to have a house he LOVES to go to! Kate & Jim are so great with him. I even got to pet Hobie a little! Maybe some day soon he’ll actually like to see other people come to his house. Looking forward to a good nights sleep! Congratulations on your forward path! Thanks. Some days are good, others not so good but I need to keep moving forward. Now if I can just survive getting through the art festival weekend….